The Language Bistro in Nariman Point will offer classes tailored to all kinds of students. Their team of expert teachers will offer certified classes in French, Spanish, Mandarin and Sanskrit, designed to cater to the needs of a variety of students. 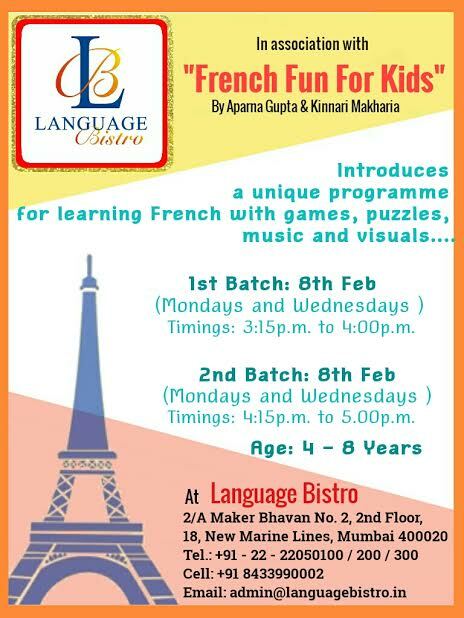 They are conducting classes in French starting from Feb 8. The Language Bistro, Maker Bhavan 2, New Marine Lines. Write to info@languagebistro.in for inquiries.